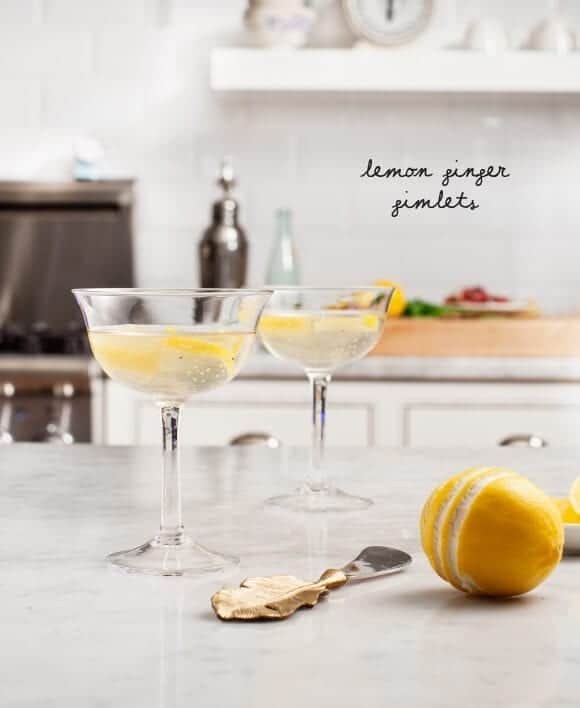 Lemon Ginger Gimlets are a pretty, healthier drink perfect for New Year's Eve, Christmas, or any winter cocktail hour. Easy to make! 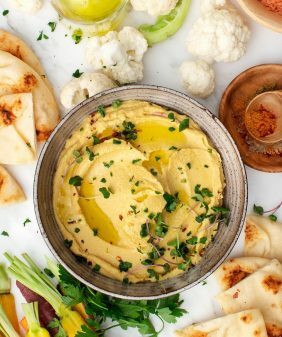 – This is crazy, but we’ve somehow been nominated for this Better Homes and Gardens Food Blog Award – if you have a sec, it would mean the world to me if you clicked over and voted! – Yummy cauliflower rice recipes – those sushi rolls are calling my name! – our book on Design Sponge’s Instagram! Thanks Grace!!!! – The 10 Commandments of Taking Instagram Food Pics. Especially #5, ha. – This springy cocktail is my jam. – drooling over these Gluten Free Brownies. – Loved Lindsay’s post about feeling jealous on the internet and 12 ways make it stop. 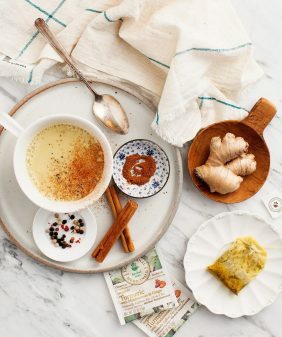 Also, Camille’s post about digital detoxing. – This Penguin Cocktail Shaker makes me so happy. Bubbled-Up Coupe Set, Langholm Cheese Knives, Penguin Cocktail Shaker. Fill a cocktail shaker with ice. Add the gin, lemon juice, agave nectar, ginger juice, and a handful of crushed ice ice. Shake for 20 seconds, then strain into two glasses. Top with a splash of sparkling water. Garnish with lemon peel. 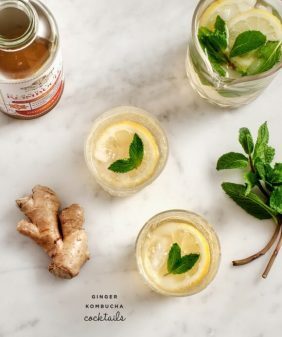 *I like this brand of ginger juice, I usually get it at Whole Foods, Central Market or Wheatsville Coop. 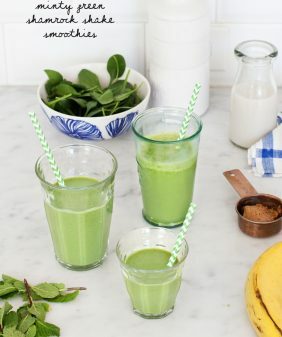 It lasts awhile in the fridge and it's great for smoothies as well. 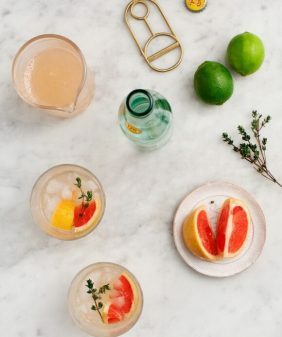 Special thanks to Anthropologie for providing the tableware items in this post! looks delicious! where do you buy ginger juice though? or do you make it? 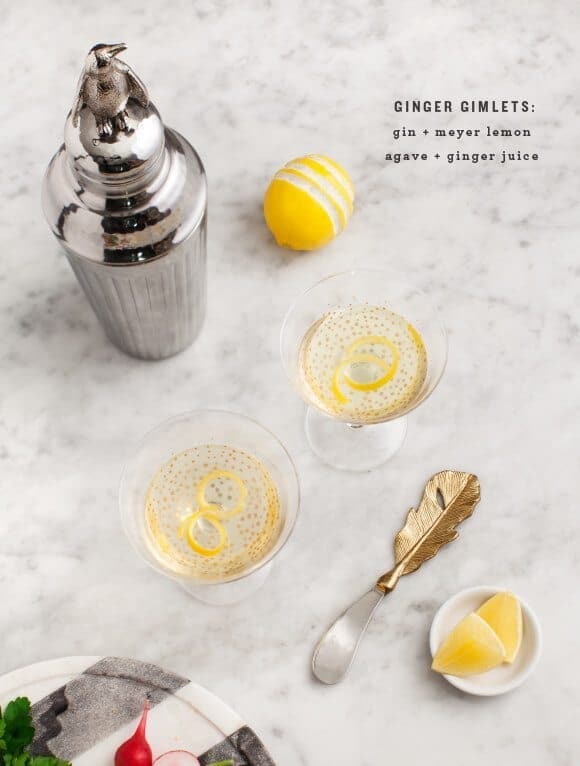 Ginger in gimlets, what a great idea. You’ve got my vote for BHG food blogger award! Good luck! PS: how did u peel lemon like that.. ? This is great. I just made one and liked it so much that I had to make another. Yea Ginger and Lemons! Sorry I don’t Instagram. Best to you. I love Meyer lemons (I only tried them last year)! This drink looks so refreshing! That penguin drink shaker is making me come to tears with how cute it is! I need it for my new apartment… now! You have my vote! That feather knife is so pretty! 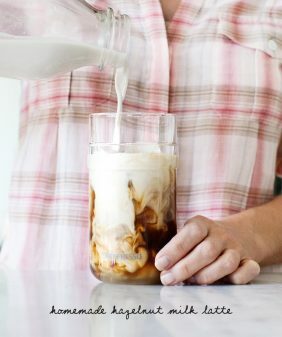 This drink sounds amazing. Also, absolutely LOVE those champagne coupes!! Where did you get the striped cheese board? Awesome, but can’t seem to find it on their site. Do you have a link? Tried it today with freshly grated ginger as didn’t have ginger juice- a scant 1/8 teaspoon – and juice from a pink lemon (that’s all I had) and I absolutely love this combination. Yum! Thanks!